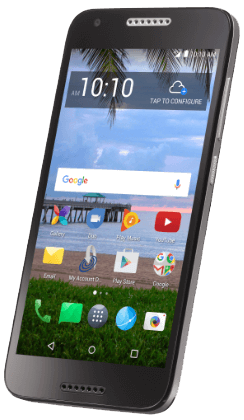 Experience fun, memorable moments on the Alcatel Z I p LTE - take photos, watch videos onthe-go, and use gesture controls with ease. A Service Plan is Required for Activation. Plans are not returnable or refundable. Transfer Wizard app available to move stuff from your old phone to your new phone. Text ALA576BL to 611611 for mobile tutorials. 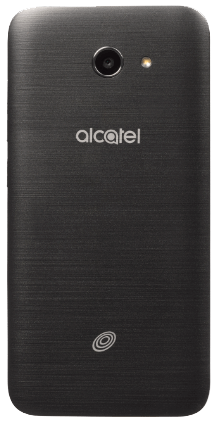 The 2400 mAh battery gives you up to 16 hours of talk time. Enjoy watching your favorite YouTube videos thanks to the bright and sharp 5-inch HD IPS display and directional sound from the front facing speaker.